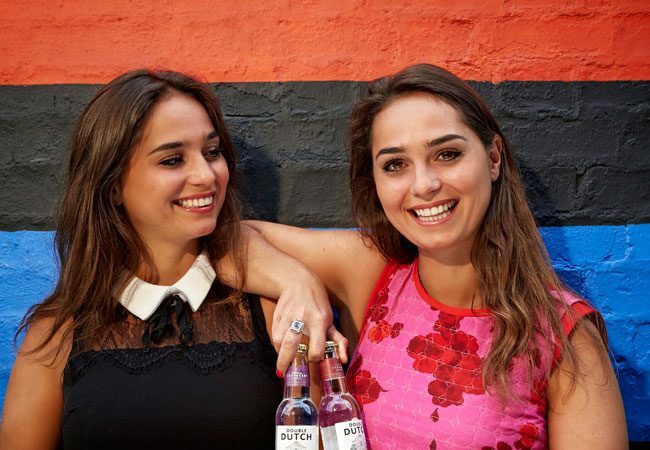 Twin entrepreneurs Joyce and Raissa De Haas, co-founders of Double Dutch Drinks, on setting out as a start-up, flavour science, and the future of the premium mixer category. What inspired you to start making your own mixers? Joyce: Being Dutch, we’ve always enjoyed a good quality drink! Our country has such a great history of gin and other spirits and we’ve always been quite frustrated by the fact that the mixer market wasn’t as experimental. 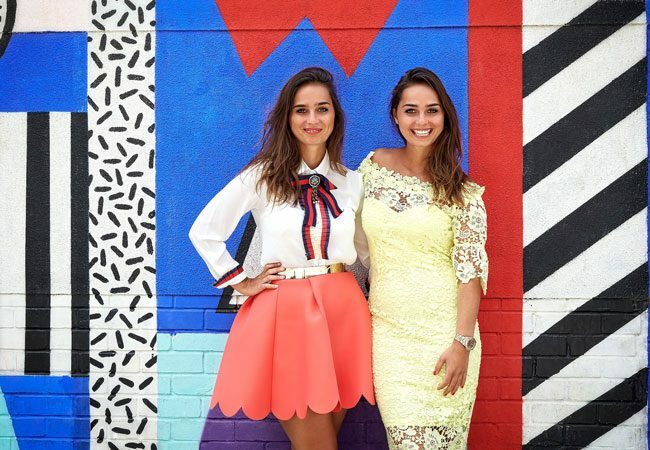 Raissa: We were born in the Netherlands and moved to Belgium when we were kids. The house where we grew up had a small wholesale wine and spirit shop. It was just a hobby for our parents – they kept the store for themselves and friends. As a result, we grew up with loads of different spirits and nurtured a passion for high-quality drinks from an early age. We subsequently developed a curiosity and a good taste for wines and spirits! When we were 18 we studied Finance and Business Administration at the University of Antwerp. During our years at university we used to drink mainly gin or vodka but found the tonics and mixers that were available quite boring and often very overpowering. We decided to make a deal with our friends and every Sunday they used to bring different gins, vodkas or Tequilas to our flat and we’d make different and interesting mixers. That was very primitive at first! We made syrups with fresh fruits by heating them up with sugar and mixed with good quality sparkling water. Joyce: After our Masters in Finance in Antwerp, we both started working in banking. I went to work for a large corporation and Raissa at a smaller wealth management bank but soon we realised that it wasn’t really for us! We wanted to be able to apply our talents to something more creative. We decided to do a second Masters that was more practical. We always felt like moving to London and as University College London (UCL) is known for its entrepreneurship programme, we applied and were both accepted there. Our course focused on starting a startup and we used the syrups we had made during our undergraduate course as the starting point for our thesis. We researched the market for the entire year and looked at the discrepancy in the beverage market. Whereas spirits are becoming more experimental with a big trend in premiumisation and the craft movement, the choice of mixers are still limited. We conducted market research with bartenders, mixologists and consumers and at the end of this Double Dutch Drinks were born. This was in September 2014. We received the prize for most promising startup and we received an initial UCL cash investment. How long did it take you to create first Double Dutch mixers? Raissa: After graduating in September 2014, we won the UCL Bright Ideas Awards for most promising start-up. Our university gave us our initial investment, a year’s free office space and mentorship. This award really enabled us to start producing and selling new and innovative flavours and recipes. When we started, we focused a lot on our flavour development, looked at bottling plants – which were very difficult to find – labellers, ingredient suppliers, etc. It took us about seven months to get two amazing products, fine-tune the flavours right and produce our first batch. Looking back, it seems we’ve managed to do it pretty quickly but it felt like an eternity back then. How did you go about coming up with the Pomegranate & Basil and Cucumber & Watermelon flavour pairings? Raissa: When we began to develop Double Dutch, we came across a molecular technique of flavour pairing which was really the turning point in the process. We found that we wanted to experiment with different flavours and ingredients but didn’t want to be limited to what the industry had already done. We were determined to find a method that is in line with the time and effort that distilleries put into finding their perfectly-balanced spirit. That made us work with food-pairing techniques in the end. By doing so we were able to create mixers, which really enhance the flavours of higher quality spirits rather than being too overpowering. Joyce: We felt we needed to come up with innovative mixers and flavours and that’s how we created our first products: Cucumber & Watermelon and Pomegranate & Basil. We wanted to launch with two very different flavours: one more summery and fresh, which is Cucumber & Watermelon, and another that was more herbal with earthy tones, which is Pomegranate & Basil. The starting point was cucumber and then we experimented with lots of different second ingredients. Cucumber & Elderflower almost made the cut but then we decided to go with watermelon instead because it gives such warmth to the cucumber. How do you go about developing new flavours – could you talk me through the process? Joyce: The flavour combinations are the result of an in-depth research with over 800 end-consumers, bartenders, mixologists and industry experts. So we basically started with approximately 10 finished recipes and then tested them with a great amount of people and cut down to one or two flavours each week, until we ended up with these two flavour combinations. Raissa: This is how our flavour development begins every time. We start with an initial idea based on the flavour pairing technique, we then work on four to five developments and finally we have one full day in the laboratory to finalise the product – adding a bit more of a specific ingredient, a bit less of sugar, a bit more carbonisation etc. Next step is to take it out and have as many people, in the trade as well as consumers, as possible to try it and feedback. We collect all feedback and finally produce a first batch. We love feedback and are always very interested in what people have to say about the flavours. The science of flavour is something you reference on your website. How do you use molecular gastronomy to help you develop your products? Raissa: Our recipes are inspired by flavour pairing, which basically helps us find the chemical components that specific spirits have in common with certain ingredients. The process starts with an analysis of a certain type of ingredient or food. The aroma compounds are then determined and quantified. The essence is to combine different ingredients that share the same intrinsic properties to create unique and counter-intuitive flavour combinations. With this, we look at the enhancement of spirits but also at the enhancement of flavours within the soft drink itself. This technique really enabled us to create much more innovative, delicate and refined flavour combinations. Joyce: Because we wanted to combine ingredients and come up with innovative combinations, we thought that having two ingredients mixed together would give us more room to experiment and create. Molecular gastronomy also looks at the chemistry and the physics within ingredients to come up with flavours, textures, combinations. We are not specialists in molecular gastronomy but it seems to share some of the same principles of flavour pairing techniques we use. Joyce: We work with one UK-based ingredient supplier who sources us with fruit and vegetable productions from all over the world – always considering the best growing areas for each ingredient. Our partners work in vertical integration to guarantee consistent quality standards. Raissa: We always look at where harvest is best, so sourcing changes per harvest season. The premium mixer category is beginning to blossom – how do you anticipate the category to evolve in the coming years? Joyce: If you look at the growth in premium spirits, there is still a lot of growth opportunity within premium mixers without any shadow of doubt. In 2015, for instance, premium soft drinks grew by 75%, however it only makes up for 5% of the total soft drinks category. As a comparison, premium spirits make up for 26% of the total spirits category, showing there is still so much room for both volume and value growth. Also, 41% of soft drinks consumers are looking for more unusual flavours (CGA 2016) so there will be definitely an uplift on innovative flavours. Currently our Cucumber & Watermelon mixer is as popular as our Indian tonic water, which proves that people are moving towards unusual flavours. So I think there is still a lot of room for soft drinks that will be consumed on their own. Raissa: With the ever-evolving premiunisation of spirits, the mixers market will follow the trend and the volumes, accompanying the sophistication and quality presented by spirits. With consumers being more informed about spirits, drinks and food in general, hugely due to social media, they will be requiring specific brands and flavours at bars and restaurants as opposed to just accepting what they are offered. Consumers will also feel more adventurous to play with spirits at dinner parties and other events and good quality mixers are definitely a handy tool to make delicious yet simple cocktails at home. Sugar consumption is also an issue that consumers are more and more aware and despite already having the lowest sugar contents in the market, we are working hard to reduce them even more in the next year. What’s your five-year vision for the company? Joyce: We want to grow the Double Dutch brand consistently across the world, being known as the most high-quality mixer brand that really focuses on flavour and innovation. We will keep developing and experimenting with new recipes and combinations at the same time we keep obsessed about how we can provide the best mixers to meet bartenders and consumers’ needs. Are there any spirits that are particularly suited to your range? Raissa: We believe we have created very versatile mixers that work well across a range of different spirits. 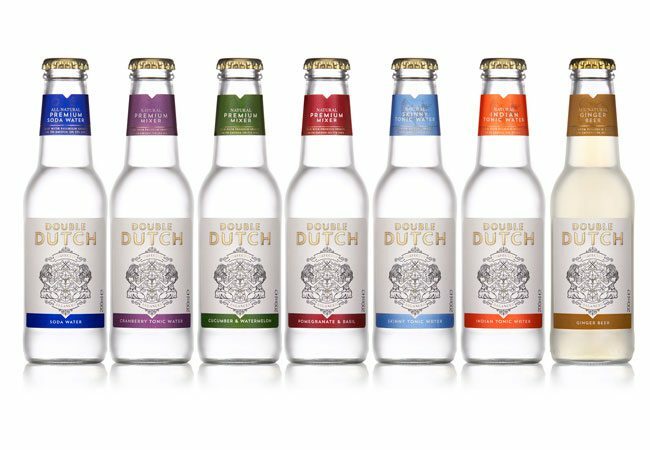 With the popular gin consumption around the world, for instance, Double Dutch flavoured mixers bring more excitement to a G&T, which is enhanced by flavour innovation and superior quality. This is very approachable for consumers and offer the possibility of turning a standard G&T into something special and different very easily. Joyce: At Double Dutch we think that innovative, good quality and creative flavour combinations can offer consumers more options when choosing what mixers to drink with their favourite spirits. We don’t focus on gin alone but on a variety of spirits. For London Cocktail Week this year, for instance, we are hosting an event pairing aperitifs with tonics showcasing how simple is to make a refreshing simple cocktail at home just mixing two high quality ingredients and a nice garnish. We are very excited to think of Double Dutch as a brand that will allow consumers to be more creative at home and play with different spirits and flavours at home to come up with their own combinations. Our Pomegranate & Basil works amazingly well with Tequilas or mezcals, for instance. We developed our Cranberry Tonic in collaboration with Hennessy Cognac and it is a good match to darker spirits. Cucumber & Watermelon is also a start on a spritzer – 60ml wine and 40ml Cucumber & Watermelon. Which on-trade trends are exciting you at the moment? Joyce: The G&T will definitely stay very popular, but other new spirits such as mezcals, Tequilas, Japanese whisky will see a big uprise. Low alcohol serves and aperitifs are catering more and more for people who want to be aware of the amount of alcohol they consume. Also, no alcohol alternatives to spirits will see a big uprise for the same reason.